Giulia WhiteA pair of Nikes are inspected at Goat for authenticity. Nike reports third-quarter results after the closing bell Thursday. Wall Street expects earnings-per-share to decline, but revenue to rise. Shares are down 0.74% early Thursday. Follow Nike in real time here. 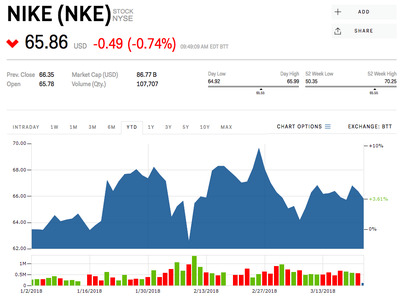 Shares of Nike are down 0.74% early Thursday as the sneaker giant gets set to report third-quarter earnings after the bell. Wall Street expects earnings of $US0.53 a share on revenue of $US8.85 billion, Bloomberg data shows. That would mark an almost 22% year-over-year drop in earnings. The company’s second-quarter results showed that, while it’s expanding internationally, demand in North America weakened. 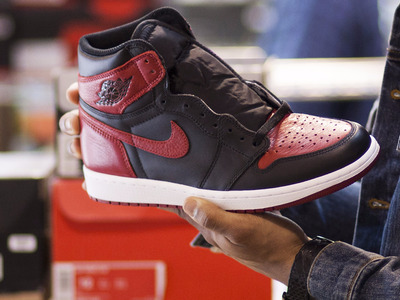 Still, Nike beat profit and sales estimates for that quarter. Thursday’s results come just a day after the company said that it had “acted swiftly” in correcting the behavioural issues of some of its managers and executives. Nike is up 3.61% this year.